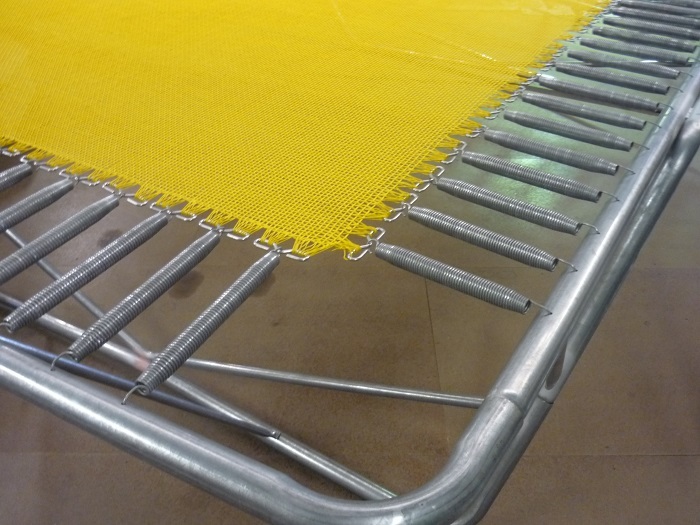 At Topline, we have a massive range of replacement parts for your trampoline. The best part is, if you bought your trampoline with us, we’ve definitely got the parts for you! Did you know we make rectangle replacement mats going back to models up to 50 years old? Great right! So if you’re in need of a custom size mat and can’t find the correct size on our website, give us a call now! It’s coming into the warmer months, so it might be time to check your trampoline over before it gets bounced on almost every day! It’s very important to regularly check the condition of your trampoline and replace parts as needed! Checking your springs and pads regularly will ensure that your trampoline is safe and ready for the kids to get on and bounce. We’re big on safety, and replacing any old or worn parts is essential to keeping your kids as safe as possible. Not sure what parts to get? Our super friendly team is happy to help so call us today!